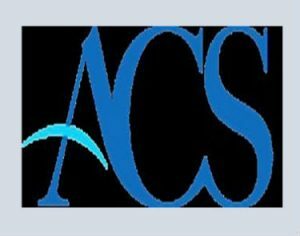 ACS (the Association of Convenience Stores) has raised concerns about the complexity of proposals to track the progress of legitimate tobacco products through the supply chain. Despite the directive referencing that only the ‘last economic operator before the retailer’ would be affected, the regulations require retailers to register to buy tobacco products and to track each purchase of tobacco from a wholesaler. The EU Commission consultation runs until 2 October for all stakeholders to provide feedback and ACS will be responding to the consultation. EU member states, including the UK Government, will have opportunities to amend and block the regulations. Mr Jones added that he will be publishing a list of authorities that have rebilled businesses who have been affected by each of the three relief schemes next month. The schemes include a £300m fund for local authorities to give to hard-pressed businesses facing higher bills and funds that limit annual increases to £600 for those losing either small business or rural rate relief. The Government had previously set a deadline of September this year to have new bills with business that had been affected. 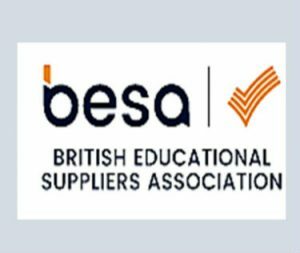 The British Educational Suppliers Association (BESA) the trade association covering the UK educational suppliers sector has unveiled its updated Code of Practice. It is the result of a year-long consultation with industry and schools to understand what assurances schools want when buying products and services. As a mandatory membership commitment given by members to BESA – which represents over 300 of the UK’s world-leading education suppliers – each member is expected, as a condition of membership, to meet the ethical standards provided for in the Code. Only companies who sign up to the Code of Practice, updated to include issues such as safeguarding and data security, can use the BESA “tick” logo on their marketing materials and websites. The BESA Code of Practice offers schools assurance in five key areas: Quality and Standards, Transparency and Openness, Integrity, Safeguarding and Data Security and Discriminatory Conduct. It is available to view in full here. Confidence in small business in Wales falters but small businesses continue to drive Wales’ economy forwards. 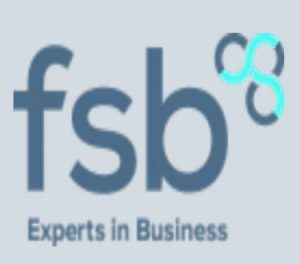 A new report from FSB Wales shows that small business confidence has dropped from a three year high of +31 in Q2 to +22 in Q3, however, the Welsh Business Index shows that Wales is still significantly outperforming the rest of the UK, which saw the index fall from +15 last quarter to +1.1 in Q3. The index shows that small business confidence is still higher than it was a year ago. The UK Small Business Index stands above the -2.9 level seen in Q3 2016, but has fallen over the past two quarters. “This new SBI report shows that small business confidence has wavered in Wales, although confidence in Wales is still higher than that in the rest of the UK. Over the third quarter a net balance of 52% of small businesses in Wales reported export growth – much higher than the 19.5% reported by small businesses across the UK. Growth is largely driven by strength in key export markets such as the EU. The EU accounts for over two thirds of Welsh exports, compared to just less than half of the UK’s exports. In the year to March 2017, the value of exports to the EU from Wales increased by 13%, whilst exports to countries outside the EU increased by 10%. technology experts sharing their insights and years of experience. And don’t forget, at each event, we will be giving away two free tickets worth over £200 for our TechSmart NFP event on November 28th at County Hall – the perfect place to research the marketplace and make new contacts. Hart Square are independent consultants, with in-depth knowledge of the non-profit sector and the technology marketplace. The Association of British Pharmaceutical Industries (ABPI) and the BioIndustry Association (BIA) have welcomed the UK Government’s latest Brexit position paper on ‘Collaboration on science and innovation’. ​​​​The UK Government’s position​ follows a prolonged effort from the life sciences industry to establish Government consensus on key Brexit issues. The sector first outlined in September 2016 that securing “alignment and commonality with the EU for the regulation of medicines“, “long-term, predictable funding for scientific research, and continued ability to collaborate at scale” and “an agreement with the EU that facilitates the ease of movement for highly-skilled talent“, were top level priorities for maintaining and growing the industry as Britain leaves the EU. “Continuing their pragmatic approach to secure the future of the UK’s life science sector, this latest position paper features many very positive ambitions for the future. As the Commission’s own research has recognised, citizens across the whole of Europe benefit from the way UK and European scientists and researchers collaborate; helping find new ways to tackle health challenges we all face. Continued cooperation in research, a smooth transition for the regulation of medicines, and practical solutions for trade and talent will be essential to delivering the best outcome for patients in both the UK and the EU. Talent drives the strength, depth and quality of UK science, so, securing the continued mobility of UK and EU scientists would be the next logical and crucial step. These scientists have an important role to play in the future health, well-being and economic prosperity of Europe. The ABPI represents innovative research-based biopharmaceutical companies, in an industry that is a major contributor to the economy of the UK. Member companies supply more than 80 per cent of all branded medicines used by the NHS and those who are researching and developing the majority of the current medicines pipeline. Globally the industry is researching and developing more than 7,000 new medicines. At smartimpact we’ve recently been talking about member engagement and how focusing on improving engagement is the key to success for membership organisations. Talking about it is all well and good but how does this translate into practical action? Here’s five tips on gaining an understanding and improving your membership engagement rates. Brainstorm, ask colleagues and refer to your overall business objectives to define a full list of your member ‘engagement moments’. Once you know what ‘engagement moments’ are important to your organisation, you need to be able to measure them effectively so you can see where you need to focus improvements. You need to define metrics and KPIs that reflect these moments. With regard to KPIs, remember to take initial ‘base’ measurements; these will help you define KPIs that are SMART (specific, measurable, achievable, realistic and time-based). For example, if your member retention rate at present is 40% you could set a KPI target of 75% within 2 years. Regularly monitoring your defined set of KPIs will then allow you to see how well your activities and improvements are working (or not) and alter your actions accordingly. So, you’ve got your list of ‘engagement moments’ and monitor those through a defined set of KPIs. But that doesn’t address whether the member benefits you offer actually meet the needs of your members. What your members needed ten years’ ago may well have changed, but has your organisation kept up with this need for change? Ask them. Through an annual survey, focus groups and regular satisfaction surveys throughout the year. The most important thing about asking your members what they would like from your organisation is to then make the changes required! Adjust the benefits offered to meet needs and wants of today’s (and tomorrow’s) member, not yesterday’s. Also, make sure you communicate your improvements and changes to the membership. In the way members want. It might sound silly but loyal members aren’t necessarily engaged members. They’re very valuable members to have but it’s important to note the difference. A loyal member might continue renewing their membership for years in return for the support shown to them by the organisation in previous years. That doesn’t mean they read your emails, attend your events or use the benefits available. But it would be good to understand what would make them engage still. We hope these tips have given you some food for thought. If you’d like to know more about engagement and how to measure those ‘engagement moments’ read our new ebook or call us on 0845 544 2043. In a response to the current economic environment – and as reported in edition 245 of ASSOCIATION NEWS – the National Association of Jewellers has announced a partnership with Made in Britain. The organisation claims to represent more than 1000 UK makers across 40 product sectors with one universal manufacturer’s marque. The affiliate agreement will give NAJ members the opportunity to use the Made in Britain marque at a preferential rate in 2018. Members manufacturing in the UK who sign up to scheme will benefit from publicity on both the NAJ and the Made in Britain websites and the right to use a proposed optional mark on the jewellery itself. An initial outline terms of licence was signed at International Jewellery London on Monday 4th of September, and manufacturers, designers and retailers can now register their interest. Hallmarking is one of the oldest pieces of consumer protection legislation in the UK, and is designed to provide consumers with a clear indication of the quality of gold and other precious metal items. Until 1998, a Hallmark consisted of four compulsory marks. Since 1998 a date letter has become optional but the other three symbols remain compulsory, and indicate: who made the article; its guaranteed standard of fineness; and the year and Assay Office, at which the article was tested and marked. 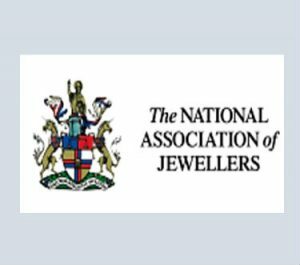 The NAJ’s plan is to introduce a ‘Made in Britain mark’ for jewellery manufactured in the UK in the hope that a country of origin mark on British-made goods will help boost sales. The clothing sector has long realised the cache of promoting its British made products – particularly in the luxury sector – and NAJ hopes that British named jewellery will carry similar kudos in overseas markets. Hallmarking in the UK is performed by four government approved assay offices. Whilst some have made positive noises in support of the initiative, a concern would be that there would be a confusion with Hallmarking. Uncertainty also hangs over the precise definition of what qualifies as ‘British’, and how the use of the mark would be policed overseas. There has never been a more challenging time to be an association Board member. There always were challenges. But with the increased availability of affordable technology; increased member expectations; more onerous and additional legislation and regulation; and the drive for better governance and accountability, the pace of change has exceeded what most us could ever have imagined even 10 years ago. Therefore, with exponentially Increasing expectations of members, increased burdens in areas such as external reporting requirements, and increased risk of legal actions, Board members need to be clearer about their obligations and responsibilities in the face of the potential for prosecution. They also have skills and knowledge gaps, especially in fast moving ICT areas. Quite simply, board members don’t have the time, relevant experience or capacity to assimilate all the appropriate background material. Lots of help is available to identify these areas of risk and how to navigate them, but most of it is poorly targeted, expensive and some not necessarily relevant to Board members of associations. So, IofAM have teamed up with an expert lawyer, and devised a bespoke training course for association Boards and Directors. The course goes back to basics, explaining the vital elements of good governance and then unpacks the complex legislative and regulatory framework association Boards and Directors must comply with. This is supported by a take-away delegate pack including the presentation – and additional information on specific subject areas. Core subjects include: Corporate Structures and the Role of the Board, Committees and their Chairs; Board meetings: Structure, Agenda, Minutes, Conduct; Directors’ Duties and Responsibilities and Persons with Significant Control; The role and duty of the Company Secretary; Conflicts of Interest and Collective Decision Making; and, Constitution and Memorandum and Articles of Association and Regulation. Additional topics which may be touched upon include: Basics of Good Governance, communication methods including e-communication; Delegation of Powers by Officers to Board members in between meetings; Board agility: flexing roles and the role of staff members in supporting the Board; and, Learning to take a strategic view: what are Directors there to deliver: linking operational activities back to strategic objectives. More detailed training on these topics will be provided in future sessions. Rachel Gwynne provides specialist corporate and governance advice and support to Registered Providers, charities and not-for-profit organisations. She has a particular focus on large projects including corporate and group restructuring, governance reviews, collaborations, joint ventures, stock transfers and charitable conversions. Rachel also has significant experience in advising on governance issues, regulatory matters and charity law requirements and provides strategic and operational support to Boards and Executive Teams. Or Contact: events@iofam.co.uk or info@iofam.co.uk to register or for further information. Associations call for urgent measures to minimise airport disruption in Europe. The European Regions Airline Association1 (ERA) and other leading industry associations are expressing significant concern regarding delays at airports related to the enhanced border control since Regulation EU458/2017 entered into force. In accordance with Article 15 of the Schengen Border Code, all member states should deploy the necessary number of border officers and consider further deployment of automated border control gates, including at secondary airports where non-Schengen traffic is significant. Member states such as Spain and France which are collecting Advance Passenger Information (API) should make use of the provisions set out in Article 8 paragraph 2e which were specifically added to allow for more efficient checks. The advance verification on the basis of API data could also speed up controls for EU passengers on inbound flights.